Missing: Jack Russell, brown with beard. My neighbors have folks visiting that had thier dog wander off. Last seen between Bluff Point Drive and Circle Lake. Please let me know ifyou see him. Hes a friendly guy 😉 Thank you. Hello neighbors, in preparation for some possible outages due to hurricane Frances, C.L. would like to provide a link for your convenience to the K.U.B. Outage Center. And more specifically the checklist for preparedness. 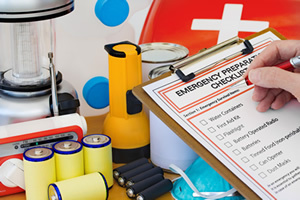 Keep emergency supplies on hand such as batteries, flashlights, a battery-operated radio, nonperishable food items, bottled water, and a charged cell phone. The Red Cross suggests including a supply of your necessary medications. Keep your KUB account information up-to-date, such as your phone number and e-mail address. A correct phone number will allow you to use the automated system to report your outage and check its status. You can update your contact information by logging into your account and choosing Manage Account. For additional tips, review our Power Outage Reference Guide. Have a plan for what you’d do in the event of a multi-day power outage. This may include getting a hotel room, or staying with friends or family. Generators should be installed and inspected by licensed electricians. Improperly installed generators can be a safety hazard to utility workers as well as to homeowners. Never connect the generator to your home’s main wiring circuit. Disconnect your home from the power system before hooking up a generator. If you don’t, electricity may flow backward into the power lines, endangering you, your neighbors, and the linemen who are working to restore power. Locate the generator outside your home. Gasoline-powered generators can produce deadly carbon monoxide. Plug appliances directly into the generator. Use extension cords if necessary, but do not exceed the recommended wattage noted on the generator. Just traded emails and he is trying to find out the severity of the damage from the downed tree at Tall Pine/Montlake. Will advise. Not good news from a KUB rep. The tree broke a cross arm so they are having to pull new primary and neutral. Making an estimate of time is just a guess. Could be a while. Our radar speed sign has been located on Maloney northbound just past the church. The sign is adjacent to the community Christmas tree. The sign company is going to adjust for [adjusted] the sign for proper operations today or tomorrow [May 23rd or 24th]. We will let it run a couple of days at that location to iron out the kinks. Lakemoor Hills Presb. Church was helpful to provide the location as we cannot locate it on street right-of-way. Other good neighbors have provided spots for the sign along Montlake both downhill and uphill. We could use a couple more sites along Maloney if any kindly neighbor would like to volunteer a nice open site. The traffic engineer turned down one volunteered Maloney site for being too close to the road. If you would like to volunteer your yard, please give me a call and I’ll drop by to take a look. Lakemoor Hills will again be seeing speed sensor tubes on Maloney Road and Montlake Drive. Once the tubes are placed for a few days and in a continued effort to keep our neighborhood streets safe, the LHHA Traffic Safety Task Force will be locating a radar speed sign at various locations along our two main roads. We are renting the sign for a limited period of time to determine feasibility for long-term use. We will be testing the sign in initial locations starting this week (Wk of May 21) to iron out the kinks. It will simply state the speed limit (30 MPH) and your speed. It will provide a learning experience for us all. The Knox County traffic engineer will analyze the data once we run the sign for a few weeks to determine the effect of the signs. We will then have hard data to help us determine whether further use of the signs is warranted. Dependant on the outcome, we may run another pilot after school starts in the fall. Please note that the sign is very expensive and that your neighbors and the LHHA is paying for the rental and is responsible for the sign. Please remember the importance of traffic safety in our neighborhood for all residents. School is out now or soon so more of our kids and grandkids will be home. Thanks to all for your cooperation and assistance. Our son’s school is looking for summer staff please forward this to anyone you know might be interested. We are down to the final stages of assembling one of the most dynamic camp teams of the century, and we need your help to get the word out about a few remaining positions. We contacted camp families two weeks ago (and some of you may have gotten that email), and now we are reaching out to our school families. Please forward this email to any friends or contacts that you think might be interested or who can post these job openings. Announce these positions to the college class at your church. Consider putting a message on your Facebook or sending a tweet. Share the info with any clubs or groups to which you belong. For our final positions, applicants must be at least 18 or older. Many out of town college students are returning to Knoxville soon. If you know of any seeking the best summer job in town, please send them our way. 4 Challenge Course (Tower/Zipline) and Target Sport Instructors (we provide the specialized training for this position). Several full-time camp counselors (30-40 hrs. per week) and part-time counselors to work from 2:30-6:00 PM. Thank you you in advance for our help! Hi, my son, Timmy, is selling some of our adult and children’s books this afternoon (Sunday June 11) from 2-4 in our driveway at 3928 Maloney Road. $.25 per paperback, and $.50 per hard cover. I wondered if you might let neighbors know, in case they are interested. Thanks! Power’s out. Again. Did you report it? Here’s the link to do so! According to the radar, we’re past the worst of the storm. Stay dry! During work hours over the next several weeks, Pipeline Construction, KUB’s waterline contractor, will be boring and installing a new 8″ waterline along the north side of Montlake Drive between Timberlake and Tall Pine. This project requires the contractor to close the westbound lane of Montlake to accommodate equipment and personnel. After hours, it appears that the contractor is doing a good job removing obstacles to traffic. The delay both directions on Montlake should be reasonable except possibly at rush hours, AM and PM. Please be considerate to the construction crew members as they are working hard to improve our water service. I’ve driven the construction area both directions several times and it should generally flow pretty well if we are patient and plan ahead for some modest delay. I’ve already seen a very limited number of folks throw their hands up in utter disgust over a minor delay. Come on, people. This our neighborhood, not west Knoxville or New York City…. If you have suggestions, complaints, call BR-549; no actually my number is 363-2663 24/7 and I’m your friendly (generally) LHHA KUB rep C.L. Overman..
To subscribe to updates about this and other KUB projects, please have a look at the new forums.